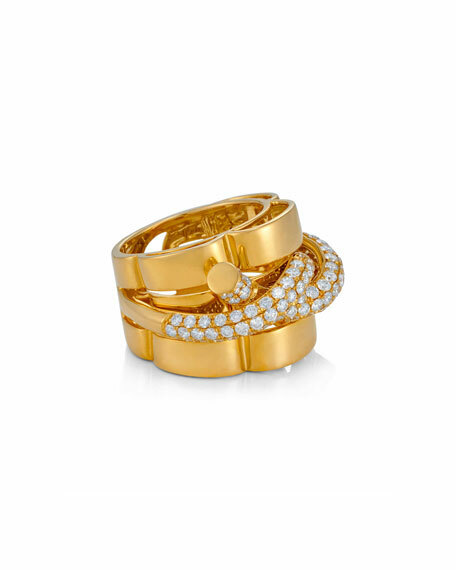 Bessa ring in 18-karat yellow gold. Pavé diamond rope at center. 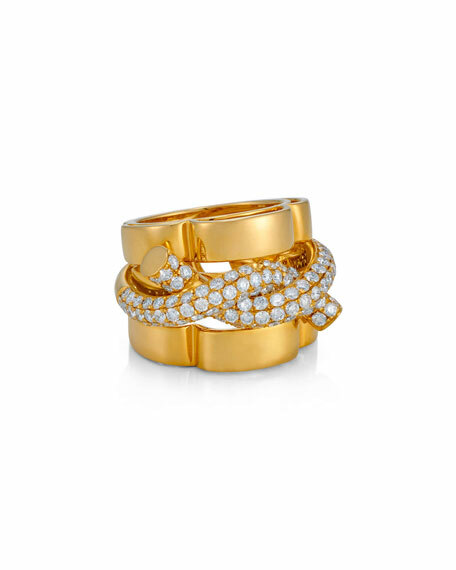 Armenta stackable band ring. Midnight oxidized sterling silver and 18-karat yellow gold. Scroll stations with pave champagne diamonds. 0.25 total diamond carat weight. Approx. 5mm wide.